I was born in Indonesia and lived there for the first 3 years, then the Philippines but made many trips back to Indonesia growing up. I went once at the start of college with my family but this was my first trip by myself, as an adult. Indonesia has always been a special place for me so I’ll always look for reasons to go back. This time I just saw a good deal on flights and booked it. This was my first trip without my parents planning and arranging things so it was definitely different to make the decisions on this trip. Matti, who just recently became interested in filming with his DJI Phantom 3 drone, says the local residents were excited and curious when they would see his drone in flight. I had no issues with the drone while in Indonesia. People were super intrigued by it. I have few pictures where there’s Indonesians around me watching as I fly. I was just careful to be respectful when flying near temples and didn’t get too close. A lot of the places I went weren’t very touristy and at the main tourist places, I made sure to go at sunrise. I had a couple Balinese guides with me that helped show me around so I think that helped too. 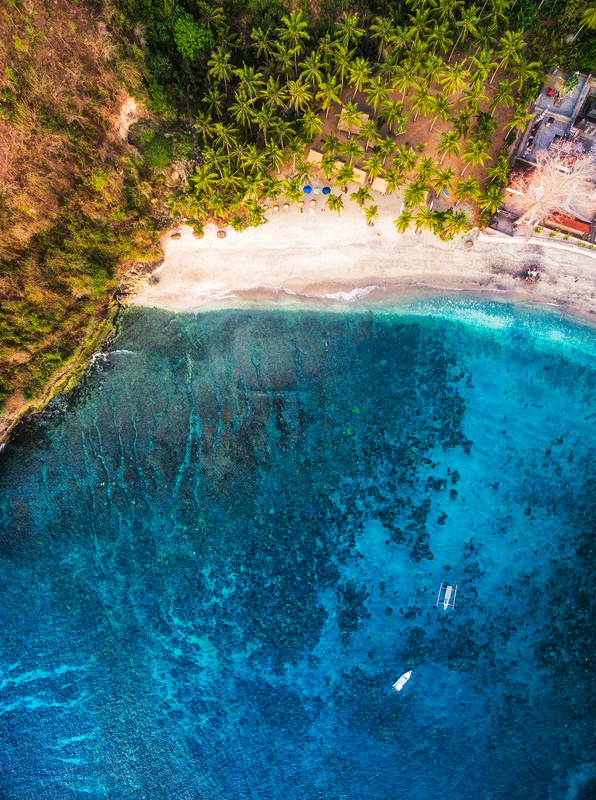 Having been to Bali, I am well aware of the island’s paradise-like beauty, but seeing the land from the lens of Matti’s drone has given me a new appreciation for one of Southeast Asia’s most treasured locations. 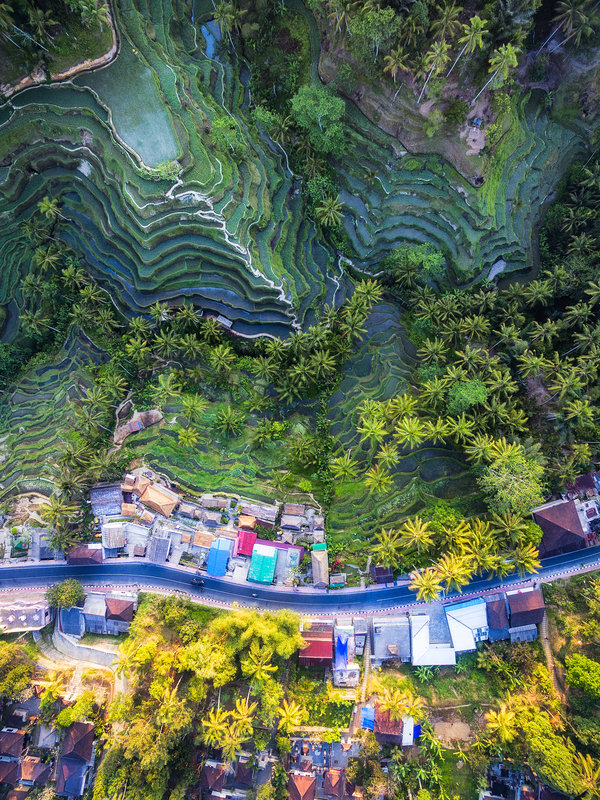 The Tegalalang Rice Terraces near Ubud, Bali take on a completley different look when viewed from above. A scene from the island of Nusa Penida, one of three islands off the southeast coast of Bali. 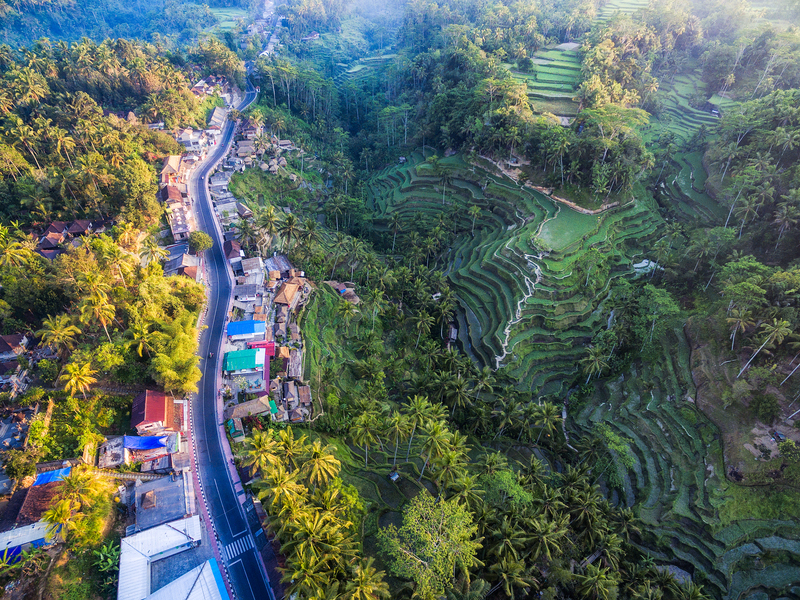 History meets modernism as a newly paved road and village run parallel to the historic Tegalalang Rice Terraces near Ubud, Bali. 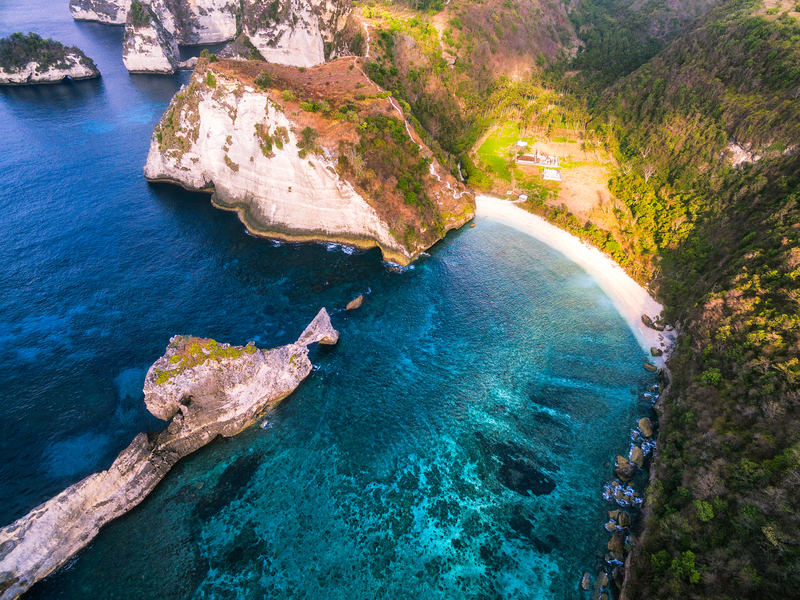 While the tourism infrastructure on the island of Nusa Penida is limited, those who make the trek will be greeted by empty beaches and crystal clear blue water. One of the most well-known and easily accessed beaches in Bali is Kuta. 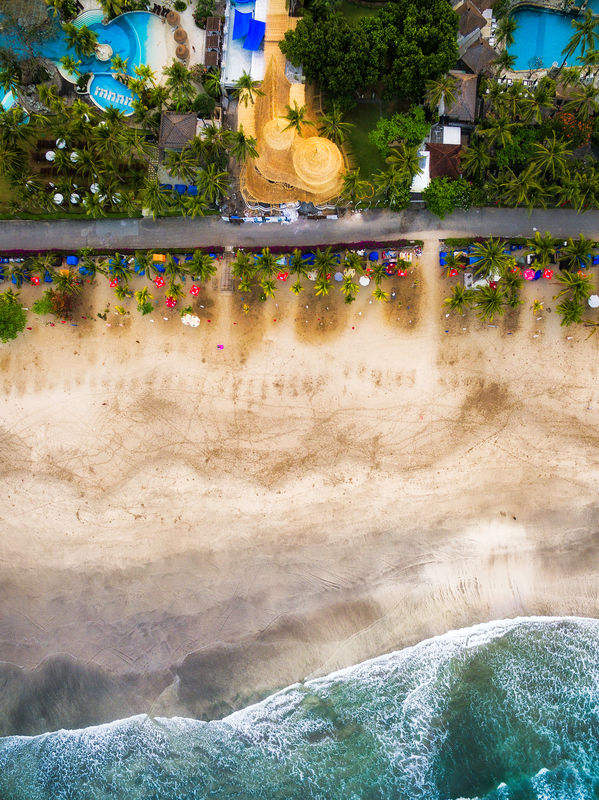 Being only minutes from the international airport, Kuta beach is where most come for the sun by day and the parties at night. 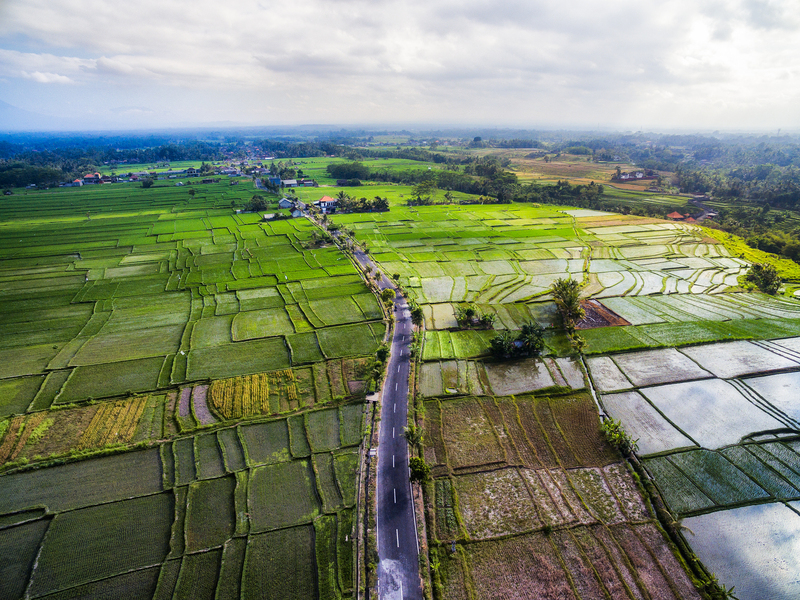 Southeast Asia has the ideal weather for growing rice, which is why 87% of the world’s rice supply comes from the region. Each year, however, rapid climate change induced droughts and floods threaten this crucial industry. 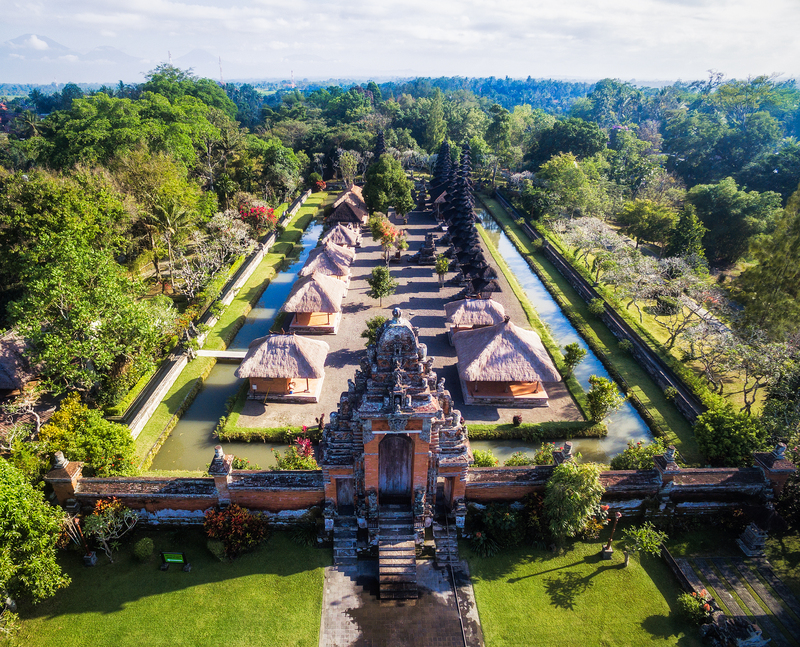 Bali, a relatively small island, is home to an astounding 6,000 temples. 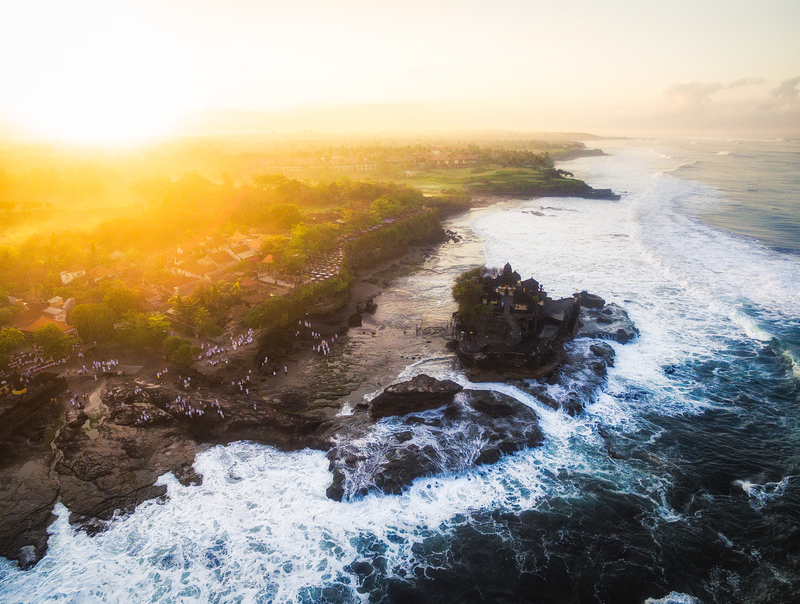 Tanah Lot, meaning “Land in the Sea“, is a rock formation that houses Pura Tanah Lot, a 16th-century pilgrimage temple. Indonesia is the third largest rice producer in the world. 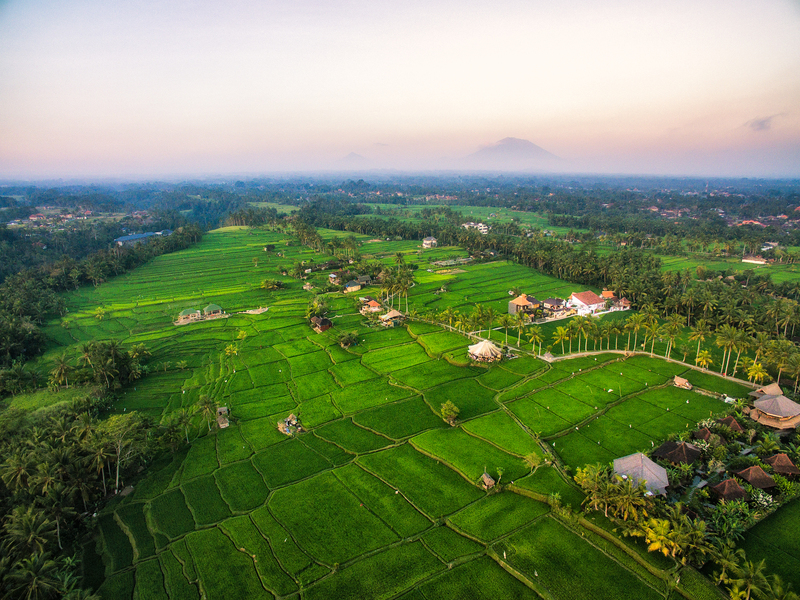 Rice is not only important to the national economy, but also the national diet, as rice accounts for over half of an average Indonesian’s calorie intake. 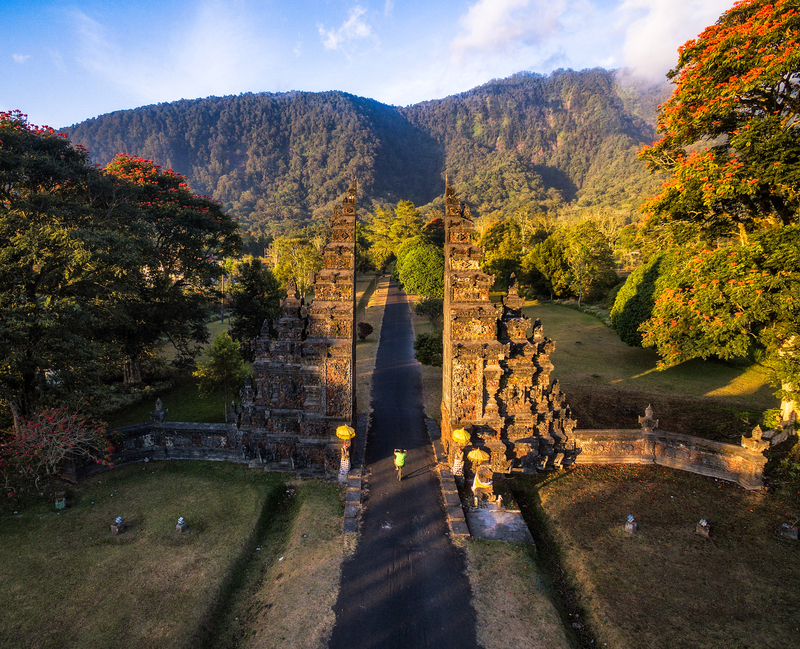 Often, the gates leading to the many temples in Bali are just as impressive as the temple themselves. 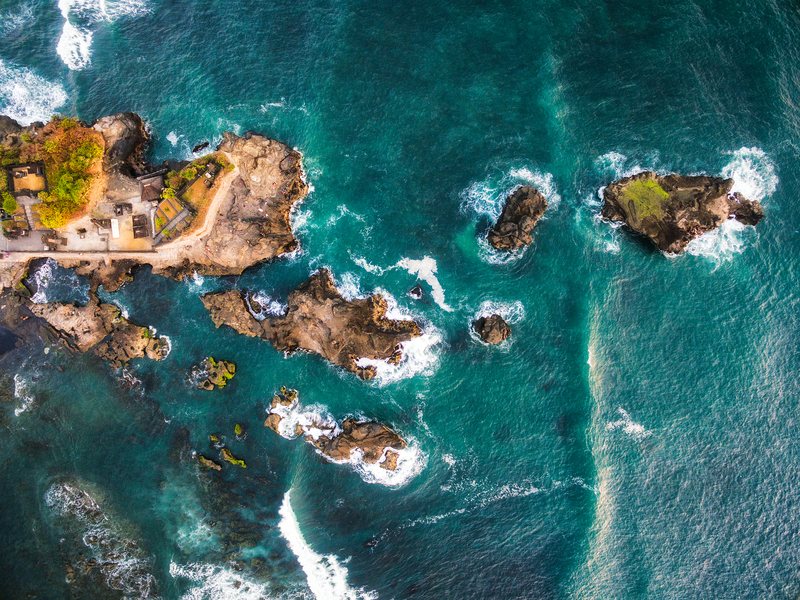 Dramatic rock croppings line the Bali coast but are much more visible from above. 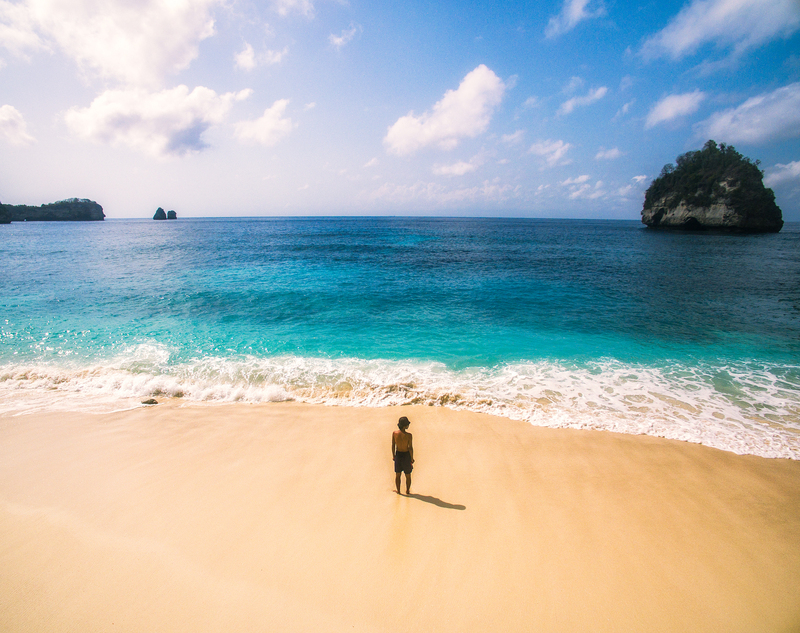 Nusa Penida has some of the most pristine beaches in Bali, but without the crowds. 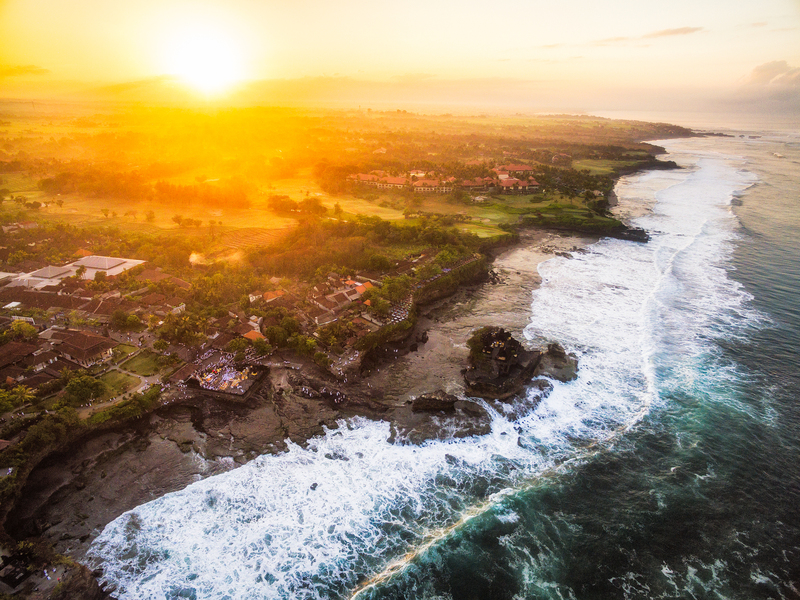 The Tanah Lot rock formation is a popular location among both locals and tourists at all times, especially as the sun rises. Atuh Beach on the island of Nusa Penida is home to one of the most famous rock formations in Indonesia, the Juntil Cape.